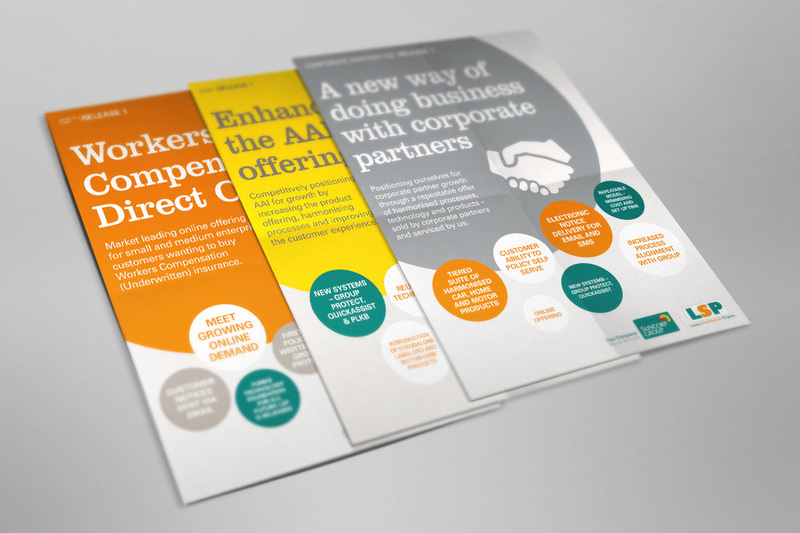 Creating a series of posters and templates for the Suncorp Legacy Simplification Program. Suncorp has successfully rationalised the number of personal and life insurance policy systems from 15 to two. Teams are now able to provide service according to demand rather than being restricted to a particular product or service.